WHEN it comes to Filipinos and pageants, 2018 was a milestone year. Just days before Catriona Gray brought home the crown for Miss Universe, artist and philanthropist Aditi Ahuja was crowned during the Mrs. Universe 2018 pageant, held Dec. 10, 2018 at the Waterfront Cebu City Hotel and Casino. “This was my first time to participate in a pageant at this global level. When this came my way, I had a thought-provoking reflection and knew I was going for it and giving my best. 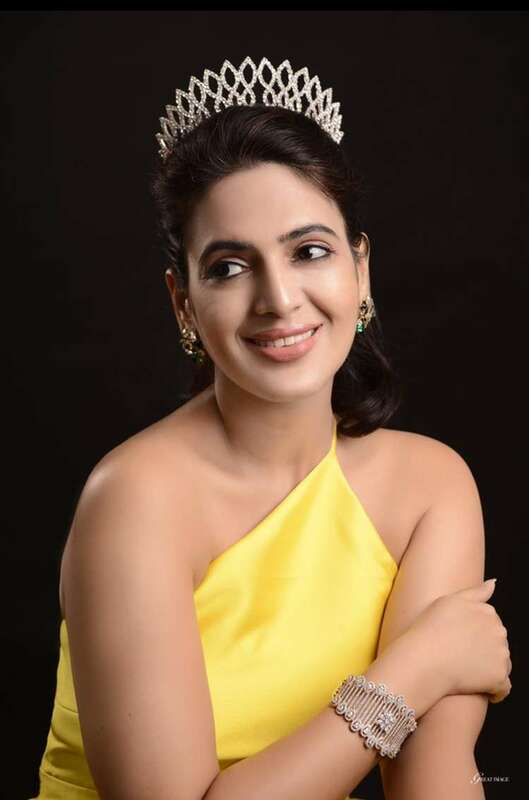 Moreover, I wanted to experience the entire process, be a part of one of the most reputed pageants, meet a circle of influential ladies across the globe, build associations, and also make my friends, family and the entire community proud,” she said. Ahuja, 39, represented West Pacific Asia and competed against 88 contestants from around the world. She won the crown and awards for Mrs. Universe Joy 2018 and Mrs. Universe Generosity 2018, a recognition of her social work endeavors in the Philippines. For nine years, Ahuja has been involved with local institutions that support her advocacies related to children and young women. She works with Mahavir Foundation to provide artificial limbs to the handicapped, Tahanan Ng Pagmamahal to provide homes for abandoned children, Marilac Hills to aid sexually abused girls and women, Nazareth Home to support single mothers and Ms. Possibilities Foundation to support women and children with special needs. Born in Lucknow, India, Ahuja moved to the Philippines in 2009 with her family and began a career as a contemporary artist alongside her charity work. She put up her first solo exhibit, The Spiritual Magma: A World-at-Large Series at the Qube Gallery in Cebu on October 2015. Currently, she runs Sprout: A Comprehensive Art Curriculum, an art and creativity enhancement workshops on weekends, and plans another solo exhibit by early 2020. An occasional model, Ahuja has also been recognized as one of Manila’s Best Dressed Women in 2017, and does modeling assignments for a cause.